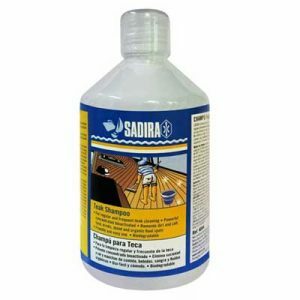 Teak Brightener – Biodegradable easy to apply formula that restores the original color of weathered teak. Provides a warm golden brown color and enhances the natural wood grain. 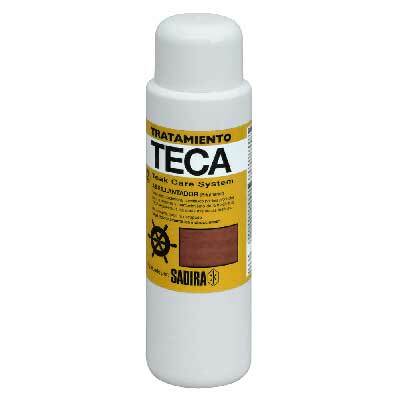 The Teak Care Treatment line consists of products designed to clean, restore and maintain teak and exotics woods. No scraping, sanding or stripping necessary. Use in the shade, on a cloudy day or at night. 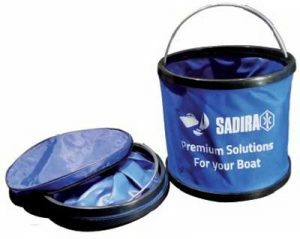 Soak the deck of the boat with fresh water. 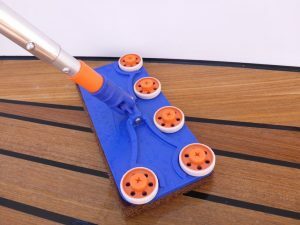 Apply on wet deck with a sponge or brush to a small section at a time, about a 3 or 4ft area. Spread uniformly and let the product a maximum of three minutes. Rinse off completely with fresh water. Repeat this process in 3 or 4ft areas until completing the whole deck. Wood will get back its color and brightness. Repeat this process on darker areas until it reaches the same color intensity. Note: Do not allow undiluted or prolonged exposure to paint or varnish. 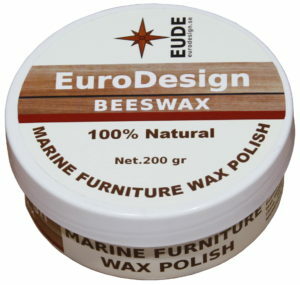 Like most teak cleaners, this product can harm old or “highly sensitive” finishes.